I’ve always been of the thought that if a flight is less than two hours there’s no need to recline my seat, but anymore than that and it’s fair game. One man apparently doesn’t see it that way and his use of a seat recline jammer got him and the woman in front of him removed from the plane. 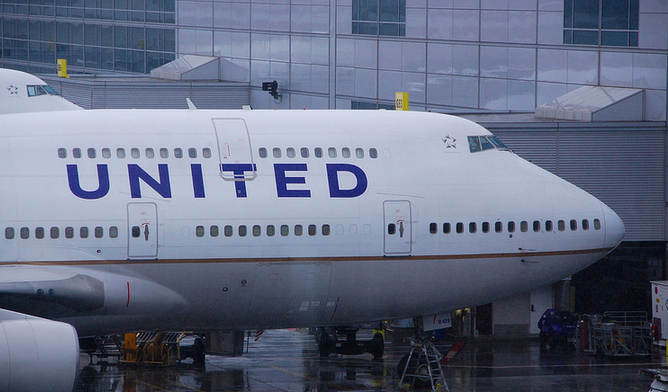 According to the Associated Press, a United Airlines flight from Newark to Denver was diverted to Chicago’s O’Hare International Airport after two passengers, both sitting in the “economy plus” section of the flight – which comes with extra legroom – began arguing because the man prevented the woman sitting in front of him from reclining her seat. The man was allegedly using a $22 device, known as the Knee Defender, that locks onto the tray table on the back of the seat, making it impossible for the person in front to recline. The device is banned on United Airlines flights, but the Federal Aviation Administration leaves it up to individual airlines to set rules for the device. According to law enforcement officials, the man used the device to stop the woman in front of him from reclining while he was using his laptop. When a flight attendant asked him to remove the device, he refused. The woman directly in front of him then allegedly stood up and threw a cup of water at him. The flight crew determined the situation had escalated to the point that the flight needed to make an unscheduled stop at O’Hare. Upon arrival, Chicago police and Transportation Security Administration officers met the plane, spoke with the two passengers involved in the incident and “deemed it a customer service issue,” a TSA spokesperson tells the AP. The two individuals were removed from the flight before it continued on to Denver. A spokesperson for O’Hare said no arrest was made in the incident but the FAA can impose a civil fine of up to $25,000 for passengers who are unruly. Reclining seats have been a point of spirited dispute for ages – resulting in previous rumbles in the aisles (especially during meal time) and even the intervention of F-16s after a reclining seat-induced slap fight. There’s even been discussion as to whether the whole reclining thing should be done away with, especially since some airlines have cut the amount of recline available to begin with.